How to create multi wallet? How to set the mining fee? How to add and search token? What is the reason for the transfer failure? Ethereum shows that the transfer failed, but the handling fee still be deducted? The exchange showed that the transfer was successful, but the wallet showed no response? How to deal with forgetting your logging in password? How to deal with forgetting transction password? How to amend your logging in password? How to use wallet for transaction or receiving money? How to import mnemonic word or private key? What’s the reason for showing “input is invalid” when importing mnemonic words? 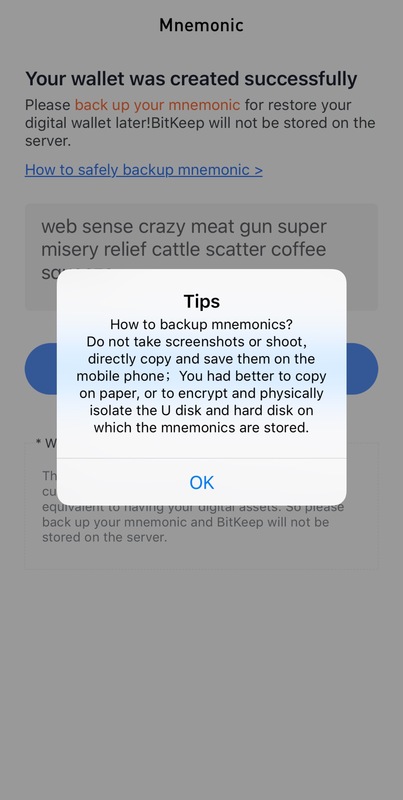 How to back up your mnemonic words or private key? Why need to enter a transaction password each time when verify a mnemonic? How to contact customer servicer KiKi? How to backup the EOS private key? What is CPU, NET, RAM? How to mortgage CPU and NET? How to redeem mortgaged CPU、 NET? What should I do if I don't have enough RAM? What is the effect of EOS mining rate? Why did the import of the private key fail? Why do you need to register BitKeep account? How long can EOS mortgage arrive? Click the "create a new wallet" button to create a wallet. 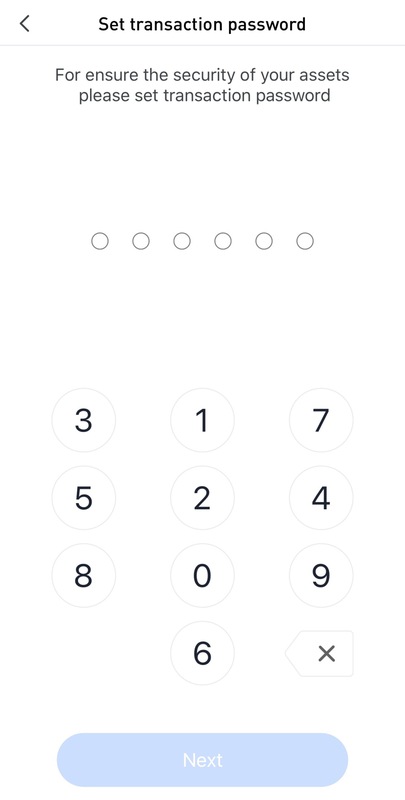 Before creating a wallet, in order to protect the security of the user's property, you need to set a transaction password, which is the transaction password of the account. (Please keep the transaction password carefully, this method is also for account security considerations.) After entering the transaction password twice successfully, the wallet will be created. 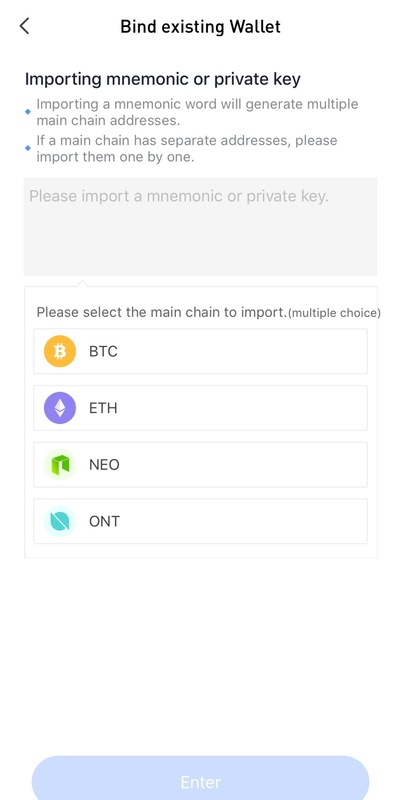 Click "bind wallet assets" to enter the bind wallet interface through the new/import wallet page. After entering the existing mnemonic words or private key, click the binding. After entering the trade password, the binding is successful. After entering the trading password, the binding is successful and then the wallet home page is entered.